Includes, but not limited to Heritage, Dyna, Softail, Deuce, Fatboy, Sportster, Road King. Most either have original paint jobs on them or are new raw steel. When purchasing parts, be sure you get the correct part that will fit your Harley-Davidson. Subtle changes will make some of the parts look like they will fit your bike, but will not. EXAMPLE For a 2007 Fatboy (FLSTF), ONLY a 2007 set will fit. The rear fender on the 2006 was narrower (except the Screamin’ Eagle Fatboy), and on the 2008 Fatboy, the tank injection pump has a different mount inside the tank. 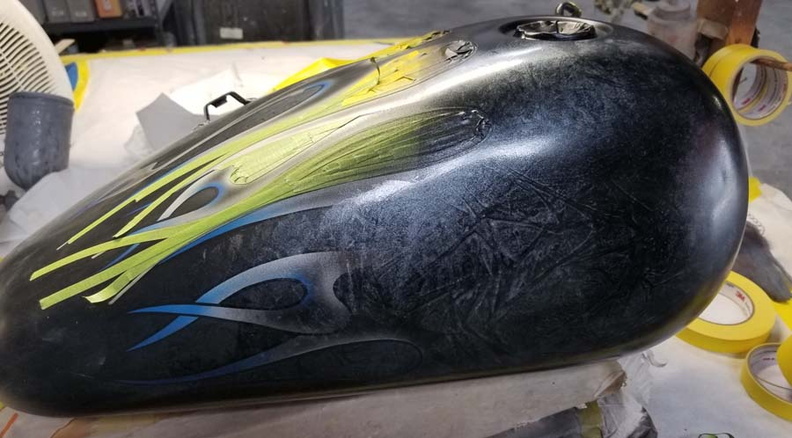 So a 2006 rear fender will not fit a 2007, and a 2008 tank will not work correctly on a 2007. When asking if parts ‘fit‘ a certain model, you should really be asking if the part will work correctly. Because, technically, certain tanks will ‘fit’, but they do not have the correct mounting plate on the inside of the tank to work correctly so you would need to change the inside fuel pump, bracket and sending unit. The front fenders were the same though. So you have to watch out for little changes like this. 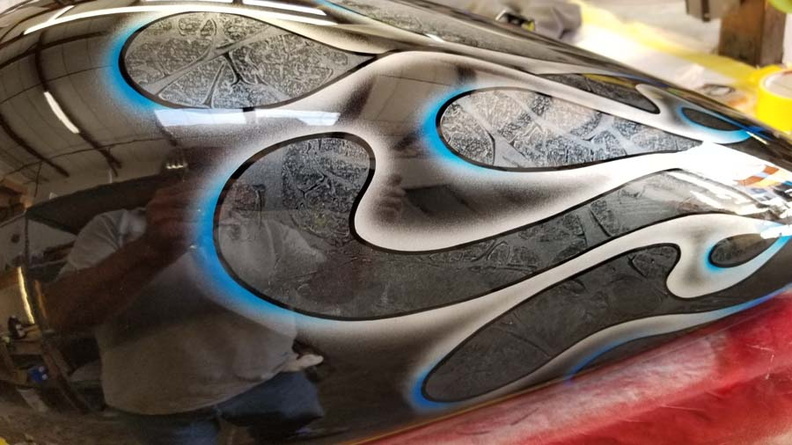 Purchase one of the Harley-Davidson sets below, and we can use them to do you custom paint job on!!! All sets and parts listed below are being sold through ebay. We only list these as we find they might be of interest to you. Harley Tins Set Gas Tank/Fenders/Struts PRO-ONE Softail Blue Nice! Harley Gas Tank/Fender/Fork Brace Set 96 XL/Sportster Freshly Painted!